The Dewoitine D.27 was a parasol monoplane fighter aircraft designed by x�mile Dewoitine in 1928. After the end of World War I, the slump in demand for aircraft forced Dewoitine to close his company and move to Switzerland in 1927. 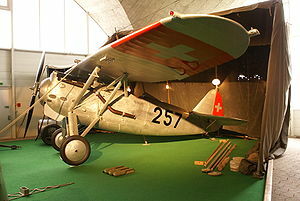 He produced the D.27 the following year, 66 of which were produced for the Swiss Air Force from 1931. It was also licence-built in Romania and Yugoslavia. 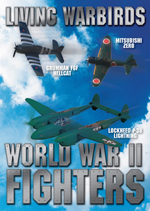 Seven strengthened versions, designated the D.53, served experimentally with the French Escadrille 7C1, flying from the aircraft carrier B�arn. D.531 : One aircraft used for testing a Hispano-Suiza engine. D.532 : A single aircraft used for testing a Rolls-Royce Kestrel inline engine. D.535 : One aircraft fitted with a HS 12Xbis engine. D.534 : Used for parachute trials. Dewoitine D.27 Pictures and Dewoitine D.27 for Sale.